I started dusting my figures just a few minutes ago and when I was cleaning my Garnet figure(ITEM #685), I noticed this odd purpleish blemish on her leg shown in the following shot. Sorry for the blurry shot, but the blemish should still be visible. I tried using a magic eraser and I've tried cleaning it off with soap and water to no avail. It appears to be imbedded within the the figure itself. Almost like its coming from the inside. 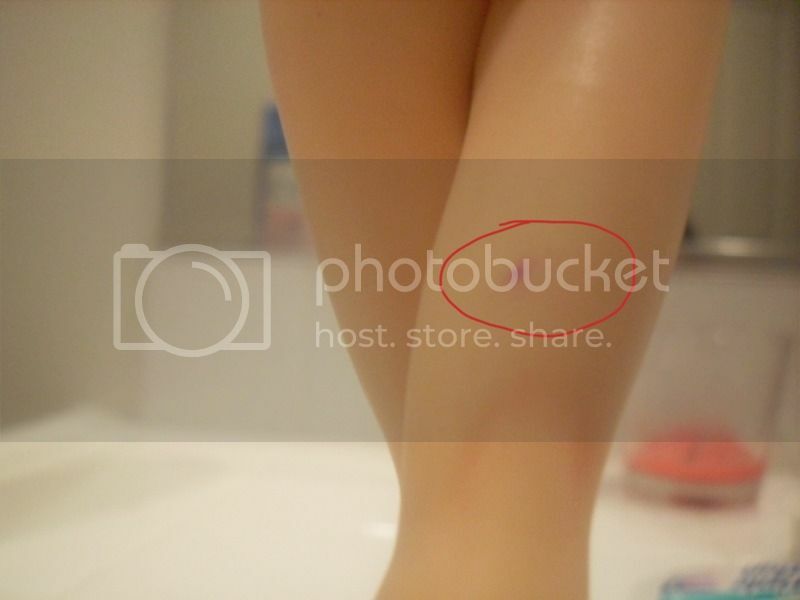 There's a similar mark on my Bishoujo Lili(ITEM #93002) which I also can't remove. Would anyone be able to give me any insight as to what this blemish is? I don't believe its paint transfer since this figure hasn't made contact with any others. Since it gets a bit humid in my room, I have 3 damprid containers under my displays, but I'm wondering if this is possibly mold, but can mold even get this way with a figure? Whatever the case is I'm a bit perplexed as to why I can't remove it. If anyone has any idea on what the blemish may be and if its possible to remove it, please let me know. I'd greatly appreciate it. Did she fall? She looks hurt.